By buying this product you can collect up to 13 loyalty points. Your cart will total 13 loyalty points that can be converted into a voucher of 3,90 €. To support and maintain a natural health resistance to seasonal irritation. 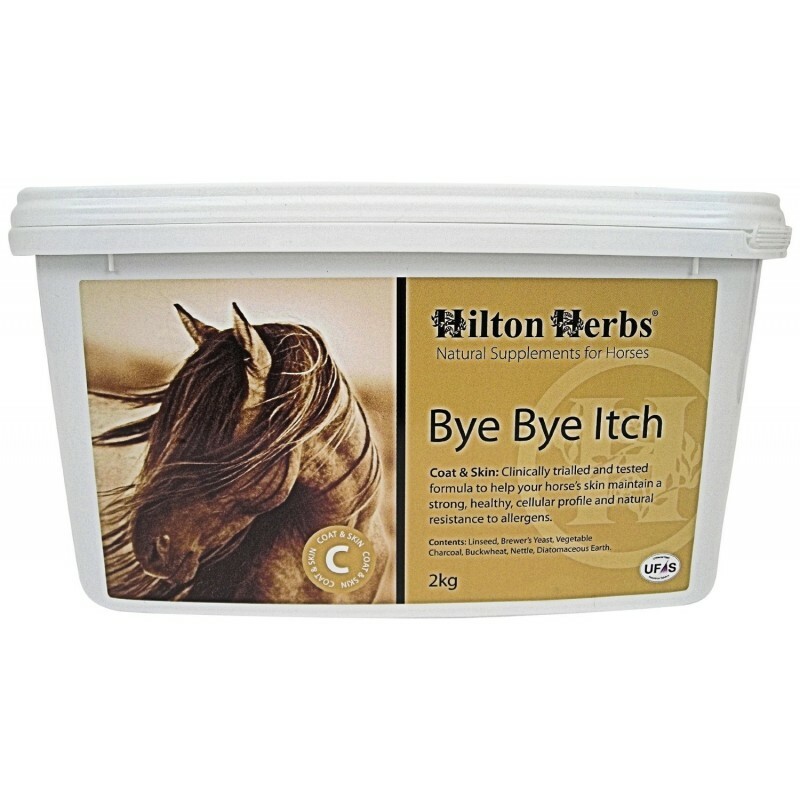 BYE BYE ITCH has been formulated to help support the horses normal response to seasonal irritants. The supplement is rich in essential fatty acids (EFAs), vital for maintaining skin and cellular integrity and encouraging natural resistance to irritations. The supplement also contains herbs that offer a cleansing and cooling action. 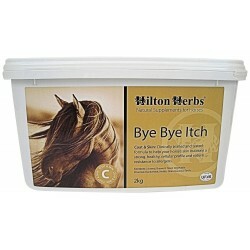 BYE BYE ITCH is designed to be fed to horses & ponies in the months prior to and throughout the season. It can be given through the Winter at a reduced rate. The mix has been extensively trialled in the UK where 93% of the trial participants reported that feeding BYE BYE ITCH had significantly helped their horse or pony. Please allow at least a month if not longer for full benefits to be seen. Our herbal supplements are added to the feed on a daily basis, if possible splitting the required amount between two feeds. Directions for use : (50ml scoop size included), if possible divide between two feeds. Linseed, Brewers Yeast, Vegetable charcoal, Buckwheat, Nettle, Diatomaceous earth.